Ski de Femme | Birkebeiner Nordic Ski Club Inc. 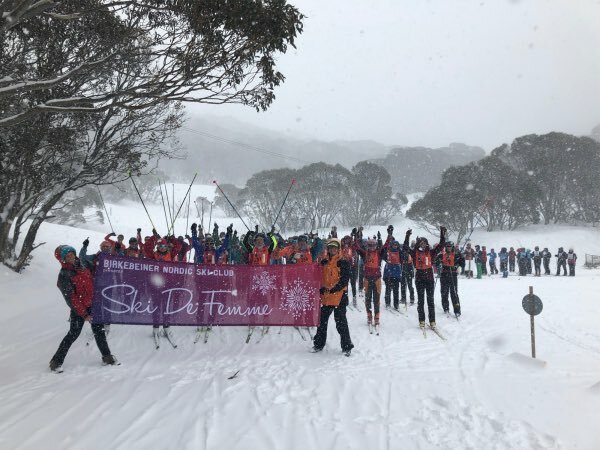 Ski de Femme at Falls Creek is proudly presented annually by the Birkebeiner Nordic Ski Club. This community event has been going since July 1994 and is run by volunteers as a day out on cross country skis for women. Ski de Femme offers free cross country skiing instruction in small groups for both novice and intermediate skiers in a choice of classical or skating techniques. The clinics are fun and a great way for women of all abilities to learn about or improve their cross country skiing. Enjoy yummy scones and a cup of tea, and be in the running for one of the many spot prizes including a weekend of summer house accommodation at Howmans Gap from our major sponsor YMCA. 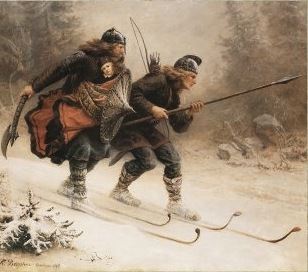 It is free to participate in Ski de Femme. Equipment can be hired at Windy Corner from Falls Creek Nordic Hire prior to the clinic. 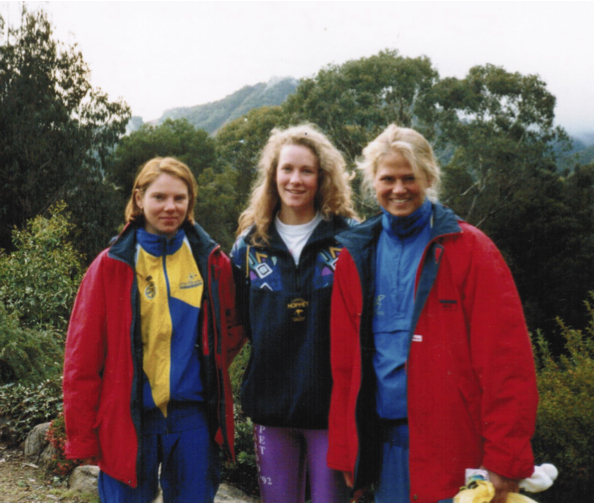 During the winter of 1993 two Swedish girls , Pernilla Grahn – 21 years and Charlotta Palmgren – 20 years (both ranked in the top fifteen in Sweden) and coach Elisabet Lamberg-Nordin (Mora Folk High School) visited Australia to expose our girls and women to elite cross country skiers through clinics, seminars and race participation. There visit was funded through the assistance from the International Ski Federation (FIS) and the Australian Sports Commissions Towards Gender Equity Program. 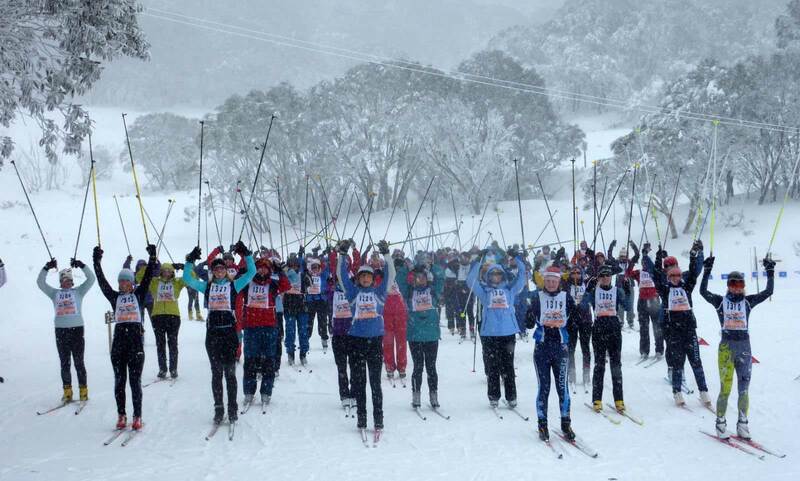 The program was conducted on and off snow both in Victoria and NSW. 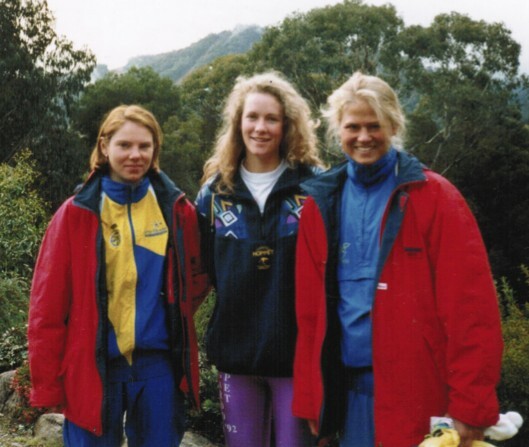 The Swedish girls and their coach made excellent role models and it was hoped that many of our Australian girls and women would follow the example set as dedicated athletes and fine sportswomen. This visit was the catalyst for the development of annual Ski de Femme Ski Programs in later years. 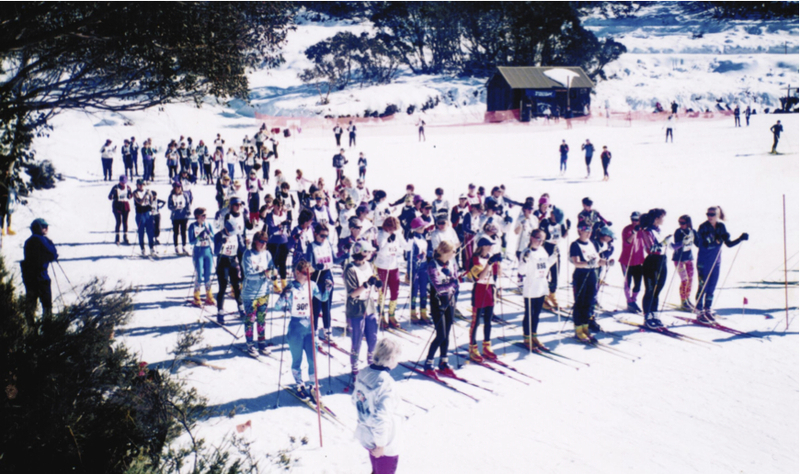 This was conducted on Saturday 23 July 1994 and comprised a 1.5 hour morning coaching session (100 women and girls attended) and an afternoon fun race over distances of 1, 2, and 5 km. Jenny van der Ploeg and Helen L’Huillier were the organisers of this event.